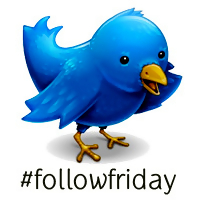 In my previous blog, I wrote about FollowFriday, some of the reasons why it started, and the many ways that Twitter users can participate in it. I am writing this blog because I still see a lot of people doing it WRONG. I did not even find out that people were participating in FollowFriday incorrectly until I went to their profiles and saw the FollowFriday recommendations they tweeted to their followers. Or tried to. One of the Tweeps whose profile I visited had tweet after tweet of her followers during one FollowFriday. She sent out about 60 unique tweets with 8-11 user names each, and all of them ended with the shorter FollowFriday hashtag, #FF. Who ended up seeing her FollowFriday tweets the moment she posted them? Unfortunately, only she did, as well as the users mentioned in the tweet, IF they are online at the time. Why is it important to know the difference between replies and mentions? Replies do not show up on the public timeline or home timeline, generally speaking, while mentions do. Let’s look at the following hypothetical tweet. The tweet begins immediately with the user name, @tonystevens4, so Twitter treats the tweet as a reply and will not show up in the public timeline. However, people can see replies in their home timeline if, and only if, they are following both the sender and recipient of the tweet. How would that look like? tonystevens4 @NikiConnor Good morning, Niki! NikiConnor @tonystevens4 Good morning, Tony! What does this show? The mechanism for replies is very specific, but making a tweet appear in the home and public timelines is variable and not standardized. Indeed, as long as the beginning of the tweet does not begin with @username, the tweet will appear in the home and public timelines. What, then, can the Tweep with the 60 unique, yet exclusive, FollowFriday tweets do in the future? As long as she does not start any of her FollowFriday tweets with @username, her recommendations will appear in her home timeline and the public timeline. If you have tens of thousands of followers, you do not want to make this FollowFriday mistake. Twitter: How do you do #FollowFriday? Every Friday on Twitter, have you noticed a flood of tweets from your followers that contain the user names of their followers as well as the hashtag, #FollowFriday or #FF, on your timeline? If you do a search on Twitter for either hashtag, you will undoubtedly find other people doing the same thing. FollowFriday began on January 16, 2009 by Micah Baldwin (@micah). While trending topics come and go due to world events, FollowFriday has become a weekly trending topic ever since, embraced by Tweeps worldwide. Why do people engage in FollowFriday? People may come up with many reasons for why they engage in FollowFriday, but the most common reason involves promoting their own followers to others. After all, no two people have exactly the same set of people they are following. People spend the weekend, as well as Monday, adding FollowFriday recommendations. Like retweeting, there is no right or wrong way to participate in FollowFriday. Many people place a #FF or #FollowFriday hashtag before or after their recommendations. The people listed tend to retweet the FollowFriday tweet they are in, effectively taking part in FollowFriday, too. Some people do not leave the hashtags to chance and add “Please follow” just before the list of usernames. Tweeps such as Daniel (@DanielStoicaTax) go the extra mile and include information from the bio of the person they are recommending in their tweet. Some people in social media have raised concerns about the value of FollowFriday and why its initial popularity and seeming die off soon after makes the trending topic more of a fad instead of a trend. One of the concerns I agree with deals with “Noise vs. Value”. From Monday to Thursday, I can rely on the users I am following to tweet about or retweet new content. On Friday, however, tweets marked with #FollowFriday or #FF take over my timeline. I try my best to add new followers, but when you follow thousands, your followers recommend just as many. How can we combat the “noise” of FollowFriday and increase the value added to our time spent on Twitter? We have a few options. It accommodates as much of the original tweet as possible. The shortcut link provided takes you to the TwitLonger website where you can view the entire tweet. You can effectively take care of your FollowFriday recommendations in a single tweet by using TwitLonger instead of sending out 10 or 20 tweets, or more, the normal way. However, only the first few people at the beginning of the large tweet would be seen in the original tweet. People have a tendency of replying only to tweets that mention their user name. Twitter clients such as HootSuite and TweetDeck do not expand FollowFriday tweets from TwitLonger links. The most intrepid of Tweeps who do add more followers from a TwitLonger link would find it surprisingly convenient. You find a list of Tweeps you would like to add. Remove any users you choose not to add before signing in. Sign into the website using OAuth. You will briefly go to the Twitter website. On the screen asking if you allow TweepML access, click on “Yes”. You will return to TweepML and the website will start adding people from the list immediately. A warning: Twitter has a number of rate limits in place. We can get flagged for sending out too many tweets or attempting to follow a large number of users in a short period of time. There is a good chance you will not be able to follow a list of 500 Tweeps in one instance. If this happens to you, keep track of the last user on the list that you were able to follow. A few hours later, continue where you left off, making sure to uncheck the names of the Tweeps at the top of the list that you have already started following earlier. On the other hand, if you have used TweepML to create user lists, the website will provide you with a link to the list, and you can share that link on Twitter. You can send tweets about Twitter Lists and reference them directly. For example, in the following tweet, I share three lists and each contains a number of users. You can create a list with up to 500 users each. Many Tweeps create a list of “highly recommended” users for FollowFriday and update the list weekly. It is worth noting that people can follow Twitter Lists but not follow the users that make up the list. Finally, however way you choose to participate in FollowFriday, you maybe pleasantly surprised to see which of your followers have decided to recommend you. If you find yourself in somebody’s FollowFriday tweet, don’t forget to send a “Thank you” or “Gratitude” tweet. After all, they took the time to recommend you for FollowFriday, and you have many options for how you can recommend them back. The Internet has seen the rebirth of URL shorteners such as bit.ly and is.gd, thanks in large part to Twitter’s popularity. The most widely used URL shorteners use 301 Redirect, “which allows websites to move transparently between different domains while still using a common web address, allowing the website to preserve its search engine ranking”. Even for a person like myself who transitioned easily between older and newer versions of Web x.0, the definition of “301 Redirect” seems planted in Web 1.0, at a time when people made personal websites on hosts such as Angelfire or the defunct GeoCities (remember those?). Twitter has given new life to URL shorteners but in some ways, modified peoples’ understanding of what 301 Redirect actually does. The heady definition I provided probably requires simplification to reflect current usage. If you can’t wait for industry leaders to simplify the definition, however, I hope this crude drawing shows how 301 Redirect would work, namely, between the tweets on Guy Kawasaki’s Twitter account (@GuyKawasaki) and his news website, Alltop. Notice that, despite using four different URL shorteners for the same article, all four “lanes” of the “@GuyKawasaki Highway” merge into one street, “Holy Kaw! Boulevard”, the section on his website where we would find the article. Parents often find the first bill from their child’s college a real eye-opener. When they do the math, they realize their current cash flow and financial aid insufficient. Where can parents and students alike turn to make up the difference? Here are six college aid options to consider. You can apply to borrow money for your school until May of the current school year. Undergraduates can borrow $2,625-$5,500 per year, while graduate students can borrow up to $18,500. For the 2008-09 through 2011-12 school years, subsidized Stafford loan interest rates for undergraduate students drop to 6.0%, 5.6%, 4.5% and 3.4%, with a return to 6.8% in 2012-13. Loans for graduate students throughout the same period remain at 6.8%. The government will pay interest on the loan for students who can demonstrate need. Students who do not demonstrate need can defer interest payments until after graduation, but interest will be added to the principal balance. 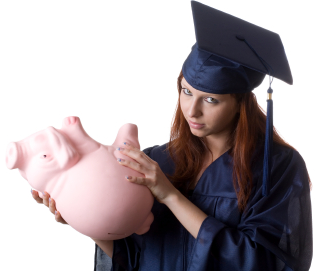 If you must borrow from a bank, consider Sallie Mae, a bank affiliated with the Student Loan Marketing Association. PLUS allows parents to borrow the total cost of tuition less the amount of financial aid the child is eligible to receive from the school, with a fixed interest rate capped at 8.5%. Unlike the Stafford Loan, the interest on a PLUS cannot be deferred. Although most colleges bill students twice a year, Academic Management Services offers a monthly payment plan to spread out the cost. When applying for this type of loan, your bank will charge the prime lending rate plus one-and-one-half points. The interest on the loan is fully tax-deductible. Furthermore, the equity reduction in your home improves your chances of receiving more financial aid in the future. According to federal law, you can borrow against the assets in your tax-deferred pension, profit-sharing and 401 (k) plans if you need money for college. Consider this your very last option if possible. According to federal law, you can borrow funds against your IRA on the condition that you can replace the funds within 60 days. If you cannot replace the funds within 60 days, you will be taxed on the amount withdrawn, but you won’t incur a 10% penalty because the funds went towards qualified higher education purposes such as tuition. Families should become aware of the options they have at their disposal towards paying for the college education of their children with the understanding that they’re not alone. The federal government provides loans with manageable interest rates and terms for students and parents alike. Even if they don’t turn to the government for help, they have additional options. Children should not be denied higher education opportunities just because of a perceived lack of funds or insufficient financial aid. Families just have to know where to look. I wrote a Twitter Influence case study in a previous blog comparing the different approaches that @TweetSmarter and @tonystevens4 took towards building a strong Twitter Influence, concluding with the lessons I have learned by following them. The following case study takes the same approach towards analyzing the Twitter Influence of another prominent, highly followed, highly listed and highly influential user, with two usernames: @GuyKawasaki / @Alltop. Guy Kawasaki, co-founder of Alltop, tweets from both accounts, and each account serves a slightly different purpose. I will, like before, present my findings from what I learned by following Guy’s accounts and the example tweets that back up my findings. Like @TweetSmarter, I would describe @GuyKawasaki and @Alltop as a reliable source of information. In Guy’s words, his website, Alltop, is “an online magazine rack”. Indeed, when browsing the subject headings on Alltop, you will find about as many topics as you would find at the magazine section of Barnes and Noble or Borders. Guy sets a schedule for tweets on his namesake’s username, @GuyKawasaki, so that people in different time zones around the world can read the articles referenced in his tweets. If you are on your computer all day, you will see up to three tweets about the same topic from this username. Interestingly, when Guy follows you back, you will receive a direct message (DM) from him encouraging you to add his other username, @Alltop. He promises that the tweets from @Alltop are unique and non-repeating, even though they originate from the same place as the tweets from @GuyKawasaki. In addition, a handful of ghost writers and “ghost Twitterers” help Guy write the “starting point” introductions that entice his followers enough to click through to the article source. Guy and his company, Alltop, have become a reliable source of information that his followers trust, relying on “results of Google searches, review of the sites’ and blogs’ content, researchers, and [their] ‘gut’ plus the recommendations of the Twitter community, owners of the sites and blogs, and people who care enough to write to [them]“. The Twitter community, therefore, has served as nothing short of a content filter, and Alltop displaying just the filtered content. Aware that the content may have worldwide appeal, he schedules tweets on the @GuyKawasaki account to appear three or four times per day to make sure that people in different countries and time zones can read his tweets while they are awake. In order to avoid repeat tweets that some people consider spam, he sends unique, non-repeating tweets from the @Alltop account. When people visit the Alltop website, they find themselves at a website with well-organized topics and high-value content that may very well become their default news portal. When you schedule tweets on a daily basis and have tens of thousands of tweets under your belt under both usernames each, you may need a hand at sending extra tweets or writing article introductions. 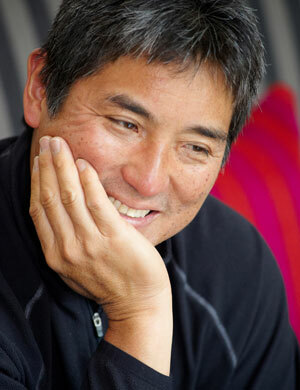 While @TweetSmarter and @tonystevens4 exert their Twitter Influence on the Twitter medium almost exclusively, Guy Kawasaki exerts a Twitter Influence beyond the Twitter realm thanks to the Alltop website. In fact, Guy could conceivably have a following from people who read the news regularly yet not be a part of Twitter or Facebook at all. I can conclude with certainty that Guy is a reliable, retweetable source of information through his Twitter usernames, @GuyKawasaki and @Alltop, and the Alltop website. So what’s the big deal about Cinco de Mayo? Even the people of Mexico scratch their heads when they hear of the festivities taking place in the United States. In order to understand the significance that Americans have placed on the fifth day of May, we must look to mid-19th century American and Mexican history. The French began a period of occupation in Mexico following the end of the Mexican-American War of 1846-48 in which the United States emerged victorious. Mexico plunged into economic despair, and a Civil War only worsened matters. President Benito Juarez’s moratorium suspending payment of all foreign debt, issued on July 17, 1861, drew the ire of Mexico’s creditors, namely, England, Spain, and France, and the three European nations invaded Mexico to get the payments owed to them. The English and Spanish eventually withdrew, but not the French, who wanted to establish an empire under Napoleon III and, possibly, challenge the rise of the United States. The following year, on May 5, 1862, despite a well-equipped French army, the ill-equipped Mexican army defeated the French at the Battle of Puebla. 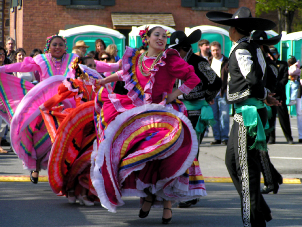 The United States and the state of Puebla in Mexico make Cinco de Mayo a day of celebration, which typically includes lots of Mexican food and alcohol. What, then, constitutes Mexican food? While certain beer and hard liquor companies have roots planted firmly in Mexican soil, you may be surprised to find out that a number of food items thought to originate from Mexico have, in fact, originated elsewhere. A number of stories lay claim to the mixed drink’s origins. Spurious at best, I will only list that the years the margarita was “invented”: 1934, 1936, 1941, 1948, and 1971. Does the United States have any reason at all for celebrating Cinco de Mayo? Even though the loss at the Battle of Puebla was a minor setback before France’s eventual occupation, the United States did ask the French to leave and they complied. The U.S. state of California, with a long history tied to Mexico, celebrated Cinco de Mayo since the 1860s in support of Mexico’s resistance to French rule. Many people probably would not even think about California taking on a supportive role as a reason to hold a celebration. Besides the “Mexican” food that people eat on Cinco de Mayo, the most persistent misconception about Cinco de Mayo is that it is Mexican Independence Day, which is itself celebrated on September 16. Despite so many misconceptions that surround Cinco de Mayo, the United States and the state of Puebla in Mexico will continue celebrating the commercialized holiday.